It is my favorite time of year. The mountains certainly beckon with their snow-smeared peaks, budding wildflowers, and green alpine grasses. Alpine lakes still have that glacial coolness about them. Life flourishes. However, slogging up to the top of a mountain is easier said than done. Whether you’re a seasoned vet or a mountaineering virgin, these five tips for climbing a 14er will keep you on track. Climbing mountains is dangerous – even the “easier” ones (read: there are no easy ones). Most accidents happen because someone, somehow deviated from the plan. Agree on where you are going, what route you are taking, and what your time frame looks like. Assign an emergency contact and send them your trip plan. Read up on conditions, past trip reports, and weather before you go. Is there anything particularly challenging about this route that you should be aware of? What is your level of comfort? What points along the route are your options to bail should things go badly? Do you have a Plan B? Discuss these things with the members of your group before heading out. If it helps, write it down. There’s nothing to be ashamed of by having a written trip plan. Do you think people climb big mountains without having a written trip plan? No, they don’t. In fact, trip plans are fairly commonplace in the mountains, even on easier terrain. They help you stay organized as well as ensure everyone is on the same page. Google Docs makes it really helpful to organize a trip plan and have the whole group weigh in. Psst…Looking for a 14er packing list? 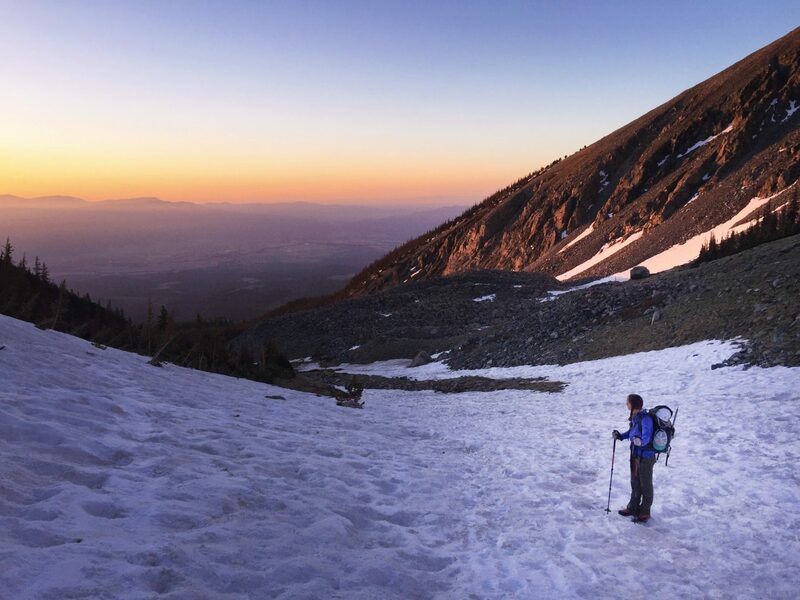 Be prepared with these 14er essentials perfect for any mountain. I’ll admit it, I can be a fabulous couch mountaineer. Routes look a lot easier online than they actually are. It’s easy to say “Oh, that’s going to be easy” from the comfort of your couch. I’ve got some news: climbing a mountain is never easy, even if you’re well seasoned, it’s still challenging. But that doesn’t mean you aren’t capable of doing it. Just choose wisely. It doesn’t matter if it’s your fourth or four hundredth time on the mountain, it’s always important to make sure you understand the challenges of the route you choose. Use sources like 14ers.com and Summit Post to their full capacity. However, take the information with a grain of salt. For example, 14ers.com is an excellent resource when planning your 14er or 13er route. However, the 15 photos they show you of the route don’t really give you a sense of what seven miles to the top of a 14,000′ peak really feels like. In order to understand that, you simply have to go. 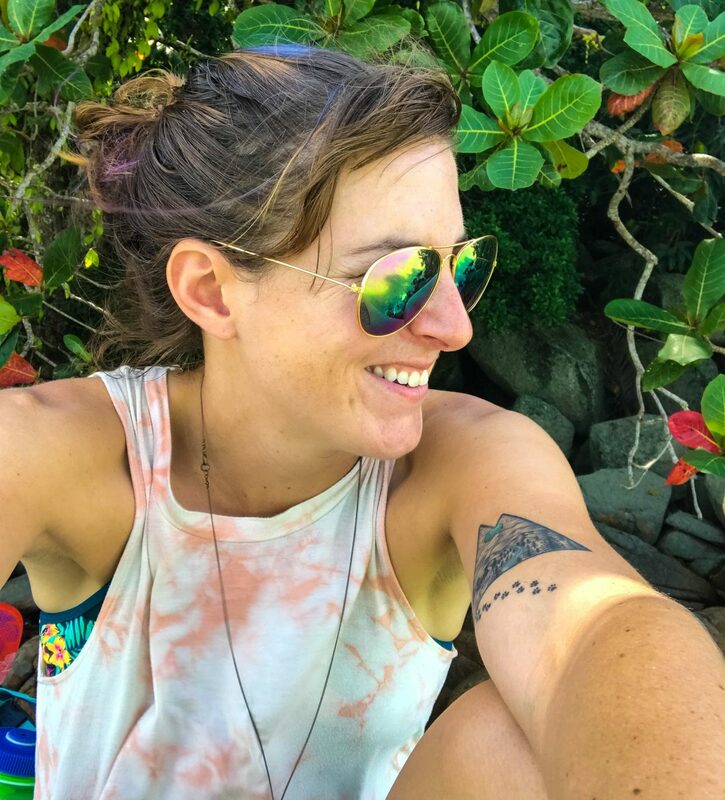 Let experience be your guide, and if you don’t have any (don’t worry), check out these fabulous climbs from Miss Adventure Pants for your first climb. Be aware of your abilities within each season. For example, I can easily do 15 miles over rough terrain in the summer. However, in winter my routes are between six to eight miles. If you are going to up the difficulty of a route, say going from a class II to a class III climb, try picking a route with lower mileage than what you are used to. Setting realistic goals will help increase your chances of reaching the summit. 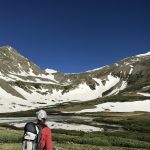 Love climbing 14ers? Then you’ll love the thrill of Colorado’s 13ers. Check out a few of my favs, right near Denver! I have yet to be on a mountain and wonder why I put myself through such intense physical stress. Sometimes those thoughts are passing, and sometimes they gnaw at me the entire route. If you’re not questioning why you like to wake up at an ungodly hour to subject yourself to intense physical torture at high altitudes, then you aren’t doing it right. If it’s your first time on the mountain and you have those thoughts, then congrats! You’ve officially joined the club. We all think about it and it’s totally normal. The point is to push through that mental barrier. Set small goals 20 feet away, count, or sing. Distract your mind from its own doubt and you’ll be amazed how far you can go. Of course, don’t ignore safety, but be prepared for the mental challenge as much as the physical one. As much as I love my 4-legged adventure pal, I keep my dog off anything above a class I climb. Her older age aside, she’s cut up far too many paws, and ripped off too many claws for me to justify bringing her up a mountain anymore. The sharp and odd-shaped rocks really make it hell for your pet. A couple of weekends ago I bumped into two girls and a dog along the trail. They asked me if I thought their dog could do a class III ridge. This is what can happen if you take your dog on a class III ridge. The owner lost the dog and faced criminal charges for his actions. I bit my tongue pretty hard and simply told her absolutely not. Even if your dog lives, breathes, and dies to be in the mountains, it’s simply not worth risking their safety or yours. Ed Viesturs, the first American to summit all 14 eight thousand meter peaks without supplemental oxygen puts it in simple terms, “Getting to the top is optional, getting down is mandatory.” Don’t ever compromise your safety or the safety of the group in the name of a summit. Aside from that, you may fail to reach the top, and that’s ok. The first time I attempted a 14er I didn’t make it to the top either. The point is to get out there and try. Just because you don’t reach the top, doesn’t mean you failed. The summit is the bonus, take a moment and look around you. See where you are. Chances are it’s absolutely stunning. Are you out with your friends? Enjoy that time with them. Are you solo? Connect with you and your environment. Take the pressure off of yourself and simply enjoy being in the mountains. The point of climbing a mountain is to challenge yourself and enjoy your surroundings. Just because you don’t make it to the top doesn’t mean you fail. There is only one way to fail in the mountains and that’s to not make it home. Bogged down by summit fever? Here’s a few other things to focus on than just the top. There are endless resources out there to help you prepare to climb a 14er or 13er. I wouldn’t take this guide as the be all end all. If you are not familiar with climbing mountains I highly encourage you to Google around for information on safety and what to bring with you. Other than that, get out there and rock it! Looking for more? Check out these fantastic mountaineering tips! What kind of mountaineer are you? Check out this silly post to uncover your mountain personality. First timer’s tips for climbing a mountain. Never climb a moutain without practicing Leave No Trace. You have some great insights here. I’ve never climbed a mountain, but I love your pictures. They are absolutely stunning. Thanks for the tips! This post is so right… I mean I have seen people so dejected when they cannot reach the summit, and also seen some coming to the mountains for adventure and then hating it.. Being a trekker myself, I can understand what you have written.. Happy hiking! Thanks Amrita! I really feel it’s all about being outside and challenging yourself. If you don’t make it to the top, whatever the reason, at least you got to spend some time getting fresh air and a good workout. Cheers! Wow! I see all the admirable effort that trekkers put into climbing mountains and scaling heights and it makes me wonder how they do it. We all choose our different paths! Lovely post. wow, so sad about what happened to that dog. Great tips, i admire your strength to push through these intense hikes. beautiful views by the way. I know!! It was TRAGIC, but at least the dog ended up having a good home. Thanks for posting this! I do a lot of hiking and backpacking in the southern Appalachians, but I want to do my first trip out west soon. I really want to tackle some good hiking out there, but I was having trouble finding information for that. This is super helpful, thanks! There is a LOT of info. I do post quite a few hikes and routes on my blog – or at least reference them. If you are having issues feel free to reach out and I can send some resources your way. Too right about not worrying too much about making the summit! The mountain will always be there. It took me 7 years to finish all the 14ers in Colorado, and some of them (I’m looking at you Long’s Peak), took 5 attempts before I finally nailed them. Exactly Henry! Congrats on finishing all the 14ers – that’s no easy feat. Ugh, Longs Peak! I feel like that’s one everyone has a story about. I’ve been chased off twice before even starting! Climbing peaks in the winter really taught me how to find joy in the climb and not focus so much on the summit. Just be happy to be out there. Climbing a mountain with a pet is like someone struggling for two lives. So hard. Thanks for th tips. I’ll religiously follow them. Well said! It’s a tough thing to do for sure. One of my favorite parts of your posts are the photos! I love them! Absolutely true! Climbing a mountain is definitely taxing both physically and mentally. Being prepared is the only mantra to tackle the peaks. Also, I have always believed that being humble on the mountains is important. What if we cannot complete the summit, we still would get to experience the climb. For me, the journey is as important as the destination. These are really practical as well as inspiring tips for mountaineering enthusiasts. Specially liked the ones about being okay if you do not reach the top as long as you have pushed yourself and tried your best. It is prudent to know your limit and admit when you are done. Love the photos and views! I am not into climbing but I can totally see why people do it. The adrenaline rush when you achieve the goal must be awesome. Great post! These are very good tips. Whenever we have gone hiking we always at some point say “why are we doing this”. But you are right, if you aren’t questioning yourself you aren’t doing it right. To get to the end and fight through the agony is always worth it. I have always been a frustrated mountaineer. One by one I am trying to reach the summits here in the Philippines. Your post gives me a lot of good advice when conquering mountains from the other countries. Great work! I’ve never thought about climbing any mountains because I’m not confident that I’d be physically or mentally prepared to do so. Definitely some great tips here tho, especially the last one. Gonna challenge myself to one now! Your post is very well written. I offer a couple of thoughts. There is nothing wrong with a physical challenge. I have hiked many miles in many places. Especially in Colorado, many people abuse their bodies by going to extremes. They feel a need to be a “badass”. We were raised that way. We are taught to compete, compare, measure and judge. After all it’s The American way. Professional athletes get paid millions of dollars to prematurely wear out their bodies, yet many can’t do simple things, like bend over and touch their toes. At one time I ran 4000 to 5000 miles per year. I finally realized that it wasn’t healthy and certainly did not promote wellness. Doing “too much” is going to an extreme just as doing “too little” is going to an extreme. We climb all the 14 er’s then what….. we climb all the 13’ers….then what….. when does it end? Always striving, stressing and straining for more, physically and mentally, is toxic to wellness. As we age, we learn the importance of wellness. I everyone balance and wellness. Thank you. I think you bring up a very interesting point. In all honesty, I have spent a lot of the time thinking about what drives me to climb mountains. What is it that draws me in to subject myself to that kind physical activity? For me personally, I find the physical task to be very meditative. It’s a time where I can set everything aside, be present, and focus in a beautiful setting. I don’t have a desire to check off all the peaks, or even make it to the top, but it is easy to get stuck in that check-box mentality. When I go outside the point is to have fun and learn about yourself. But on the other hand, I completely agree with your synopsis of the “badass” syndrome. 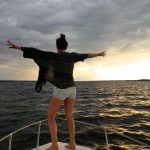 In a world where you are bombarded by the images of other people’s lives, it’s very easy to feel like you need to do more and be more instead of being present and satisfied with your personal journey. Even though I do put out content that contributes to that feeling, I too feel that way at times. I’m also the kind of person who quickly overbooks themselves. I’m starting a business, working out, and constantly out and about in all of my spare moments certainly takes its toll. It’s tough for me to tell myself to do nothing, but I’m learning. And I agree – doing “too much” is an all too familiar feeling to me and in the end it causes stress. Having the mental strength to be honest with yourself and realize that it’s ok to have balance in life is a skill that is learned by trail and error. Balance is a personal journey. I hope to continue to learn about my own balance in life as I move forward. Thank you for reminding us to take care of ourselves. Medical science is telling us that stress is the greatest contributor to physical illness. Yoga has taught me to back off my previous type triple A personality. I never imagined the change or that I would even try yoga. It’s been about 6 years since I began practicing.